If you’re actively creating content, you’ve probably noticed that “waiting for inspiration” doesn’t tend to work all that well. In this podcast, I go through my workflow for content creation. This works for blog posts, podcast or video scripts, infographics, slide shares, or really any piece of strategic content you’ll want to create. I like to alternate between the “soft” mindset stuff and more “hard” pragmatic tips, so today is a pragmatic day. I’m going to get practical and talk about the structures and processes that I use to write blog posts and podcast scripts. I also use this system to write interview outlines for the premium content we produce for our Authority community. It also works well for infographics, slide shares, and if I did video, I’d use it for my video outlines. It’s really any form of creative content. In fact, it can probably be adjusted if you’re a visual content creator — something like cartoons or other creative images. If you use this, let me know in the comments over at pinkhairedmarketer.fm! Allow for space to capture links, bullet points, etc. Quotes can go here as you collect them. Should be a flexible bucket you can dump different things into. Keep it incredibly simple. One step is ideal. Strongly consider creating a micro-habit of planting at least one seed in your idea field every day. A well-planted idea field is the key to beating writer’s block. Keep adding to your field, so that you have ideas in various stages of readiness. As ideas occur to you, add them in. For this reason, it’s optimal to use a tool for your idea field that is always with you. Evernote is popular and works well, because it easily syncs between mobile and your laptop. But plenty of writers have made this work with a paper notebook that’s small enough to carry everywhere, or even with index cards. Important point: It’s totally fine to have stupid ideas in your idea field. Sometimes weird ideas turn into your strongest content. Keep an eye out for articles, questions, social media conversations, etc. where you can find ideas. When it’s time to sit down and write that blog post or script, go into your idea field and pluck one out. Does this matter to the audience? Is it something they want? Need? Am I the right person to write this? Do I need additional resources — quotes, research, interviews, etc. — to do a great job with it? 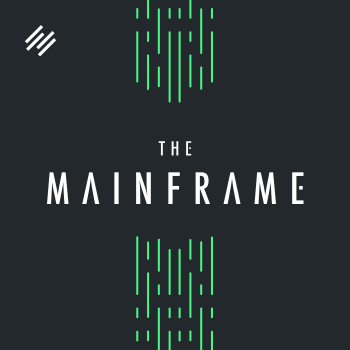 Just like designers will “wire frame” a website, so they can see where the pieces will go, you’re going to wire frame your content to see how it will fit together. Write your subheads. What aspects of this topic will you be addressing? What’s the point of this article for your audience? What do you want to communicate? What benefit will they gain from reading or listening? Write your working headline. This isn’t optimized to be shareable or amazing yet, it’s just what the piece is about. This is often a good time to write your opening — a paragraph or two that outlines why you’re creating this content. You may or may not end up keeping it; sometimes this works well as part of the finished piece, and sometimes it’s smoother to trim it out in the final edit, and come up with a punchier opening. Once your subheads are written, go back in and “fill in” the wire frame with some writing. Flesh out each point you want to make. You don’t have to be a perfectionist at this point — just get across what you want to say. You could even use voice recognition software. I find this actually takes more time, because it needs so much cleanup, but some people who are seriously writing-averse swear by it. Once you have some text that says what you want it to say (even if it’s not what you’d call perfect), you have a first draft. Try to put at least a day between Steps 4 and 5. You want to give yourself a chance to sleep on the material and work through any lumpy spots. This step is to edit your work, looking for anything that looks weird or awkward and rewriting it. Also look for logical breaks — have you made your point effectively? Could you use more evidence, or better evidence? Does everything follow? This is also a great time to look more carefully at your headline. Most important: Is it clear? Will the reader or listener have a good idea of what they’ll get out of reading or listening? Could you slip a number in there? For example, if you notice that you have seven main points, you can turn it into a 7-Step headline, like this podcast. You can do the editing step once or twice; it’s up to you. I do it twice. I do a preliminary edit, then try to leave it one more day, and before I queue for publication, I go through my 7-Minute Content Makeover Checklist. If you’re short on time, make this one step, although it’s still helpful to do it in chunks — your main edit to make your rough draft sound smooth and fluid, then the content makeover checklist for small tweaks. And if this is a podcast or video script, it’s time to go ahead and record. If you can, take one last look. Just a quick skim. Does it grab you? Can you do a little more work on the headline? Does the image look right? Does the post look good on the page? For a podcast or video, of course you may have some production to do here — your A/V editing, transcription, etc. Once it all looks like it should, schedule or publish it! Crafting great content is important, but it isn’t enough. You also have to let all of your promotion channels know you have something new. Of course, you’ll go onto Twitter, Facebook, LinkedIn, or wherever you hang out and communicate with your audience. If it’s a particularly strong piece, email some of the key content publishes in your network and let them know about it. Don’t do that for every single piece of content; do it for the ones you feel are home runs. Be selective, of course — if a piece is a particularly excellent match for one person in your network, share it with them but perhaps not with others. Now it’s time to take a little breather, then go right back to cultivating your idea field and getting ready to produce the next piece of content. It’s a cycle, rather than one monster push. Once the habits are up and running, you’ll find this very workable. And it’s not so much work that you can’t double up some weeks, to free up some space in your calendar for a vacation or spending time with family and friends over a holiday. For a text version of this that you can easily refer to again and again, take a look at Pamela Wilson’s version of this concept: A Simple Plan for Writing One Powerful Piece of Content per Week. She breaks it down slightly differently than I do, but it’s a similar approach that you can blend with this one — just take the elements that work best for you and create your own personalized process. 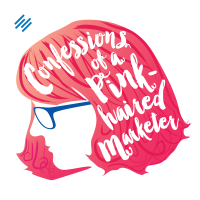 This is a reminder if you didn’t catch this last week — you may know that this podcast is part of the Rainmaker.FM marketing podcast network, and we have some holiday schedule information for you. 1. Google Keep > Evernote. And not for dumb reasons. Evernote loses data if you have a large collection (google it ) and their app lost it’s simplicity a few years ago. Google Keep is what Evernote used to be when it first launched. 2. Get feedback at the outline stage. When you ask for feedback on a close to finished piece you’ll get suggestions about your style and grammar. But if you submit an outline to a friend or editor you’ll get feedback on your idea and flow. Also, you can get feedback from friends and family on an outline pretty quickly. But friends will start to hate you if you consistently send them 1500 word blog posts for feedback. Hashim, I totally agree with you about Google Keep – it’s an awesome app, and I’ve started a bunch of lists there recently. I saw that the newest update on the app lets you share content from other apps directly to it too. And thanks for the suggestion on getting feedback on an outline vs. draft. It makes so much sense! Interesting, will check that out, thanks Hashim! I declare, 7 is your lucky number Sonia. Whatcha think about this idea: a template of sorts for writing. You mention creating a wire frame, maybe that’s really the same thing. I’m thinking instead of starting with a blank page, I’d use a fill in the blanks page. Of course the article would change in length, but the main parts would be on the page for me to fill in. Thanks Miss Pink, off to think. Do you publish transcripts of these podcasts anywhere, by any chance? It’s hard to find 22 continuous minutes but I could skim read a transcript very easily, and I know the content would be hugely useful. Thanks! We do not anymore Ally. Some of our early episodes have transcripts, but we do not post transcripts for new episodes. please bring transcripts back. They were a valuable addition to podcasts for many reasons. Like Ally said, sometimes listening for 20 min or more is not an option; sometimes reading is the only option. Printed words are also a great help to folks with visual memory. If you need somebody to transcribe your podcasts, I can help. Just send me an email, and we’ll discuss it. Thank you very much, Sonia. Just so you know, your podcasts are the perfect length for my commute to the office. I love them and I put them to use both at work and at home. This one inspired me to tweak my editorial calendar and include an “idea field” so I can start growing my ideas in a more organized manner. No online apps for me – just Microsoft Office (Word and Excel) for organizing ideas and posts.